I spent a chunk of my childhood in the Middle East surrounded by gunfire from civil war. That didn’t make me immune to bullets or the heart wrenching tragedy of gun violence. I’m so weary of the regularity with which mass shootings and seemingly senseless crimes are dominating our news feeds. As he went on to call for stricter gun control laws, again that word—broken—haunted me. And laws won’t fix it. Media outlets began to chant their rant about mental illness causing the rampant killings. So much brokenness. 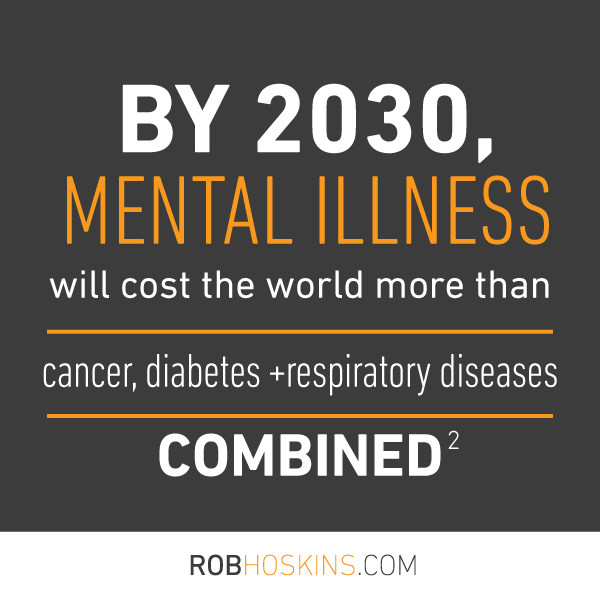 But alleviating the symptoms doesn’t heal the real issue; it only masks it. What everyone seems to be glossing over is the messy fact that most of these violent crimes are being enacted by fatherless youngsters. Of all the rocks upon which we build our lives, we are reminded … that family is the most important. 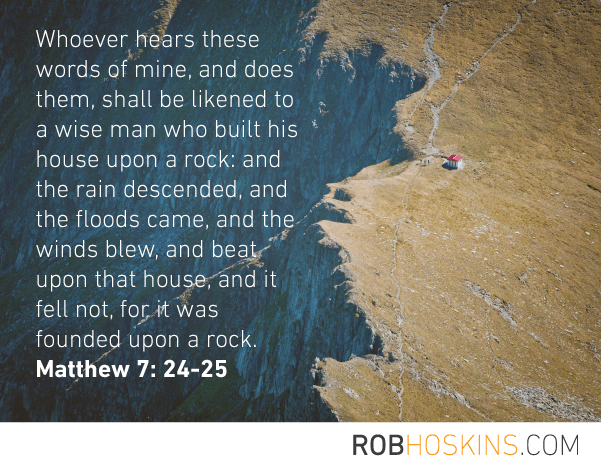 And we are called to recognize and honor how critical every father is to that foundation. But if we are honest with ourselves, we’ll admit that too many fathers also are missing — missing from too many lives and too many homes. They have abandoned their responsibilities, acting like boys instead of men. And the foundations of our families are weaker because of it. Emerging birth rates will only multiply these statistics if nothing changes! W. Bradford Wilcox, Director of the National Marriage Project at the University of Virginia, states that, “Boys are more likely to steer clear of trouble with the law when they grow up with their father in the home. One Princeton study found that boys raised apart from their fathers were two to three times more likely to end up in jail before they turned 30. 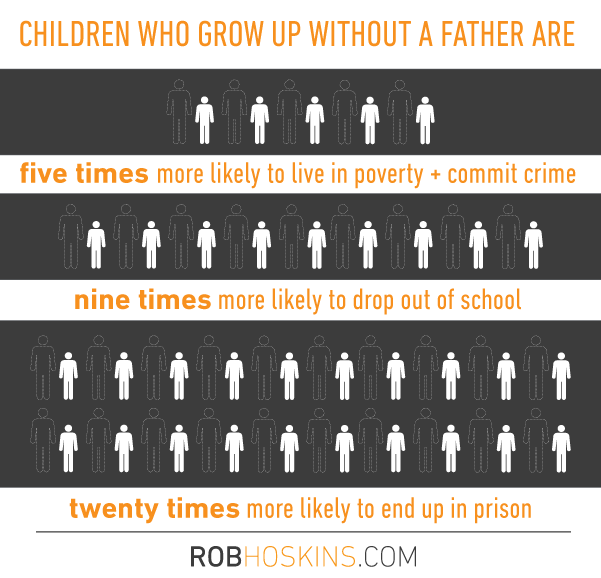 The break-up of the family unit, and fatherlessness in particular, is wreaking havoc on our society. 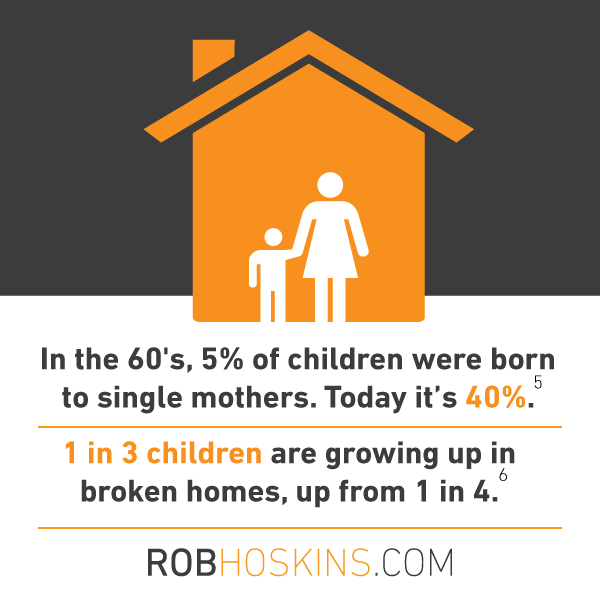 Single moms—you are heroes for trying to raise children on your own! But all of this is not how it’s supposed to be. And only one perfect Father can fix it, meeting people’s needs fully and forever! He created and designed the family as His institution to love, nurture and meet the needs of children. When you tear apart His design you rip into the fabric of young men’s souls and leave them lonely, confused and angry.